I can’t get enough of cooler days, fall leaves, and crisp apples. Unfortunately, in Texas, even though stores start stocking fall merchandise in late July, we don’t get cooler days and falling leaves until November. While my friends who live in cooler places are posting on Instagram about all the fun they’re having with outdoor apple activities, me and my kids are stuck inside sweating inside even though the AC is blasting at full speed. 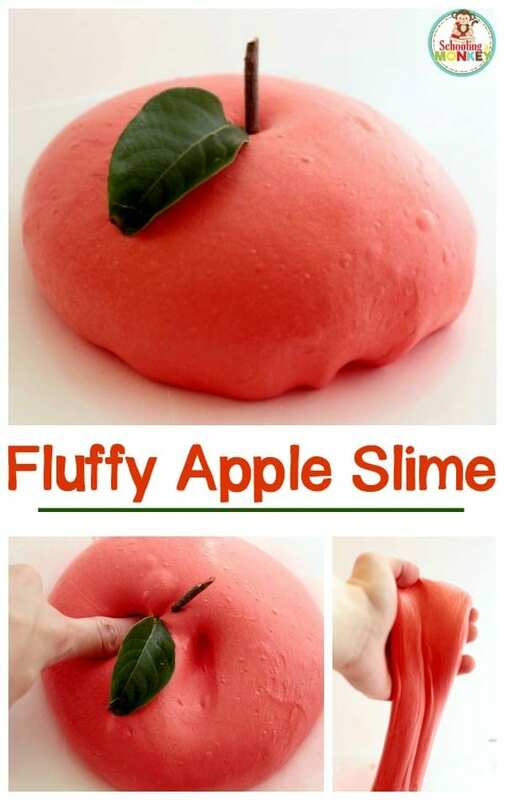 Although we’re stuck inside still playing with slime recipes, my daughter came up with a brilliant way to transform fluffy slime into fluffy apple slime, which helps us get into the spirit of fall, even without cooler temperatures. This apple activity is perfect for back to school, a fall STEM activity in the classroom, or just for fun at home! 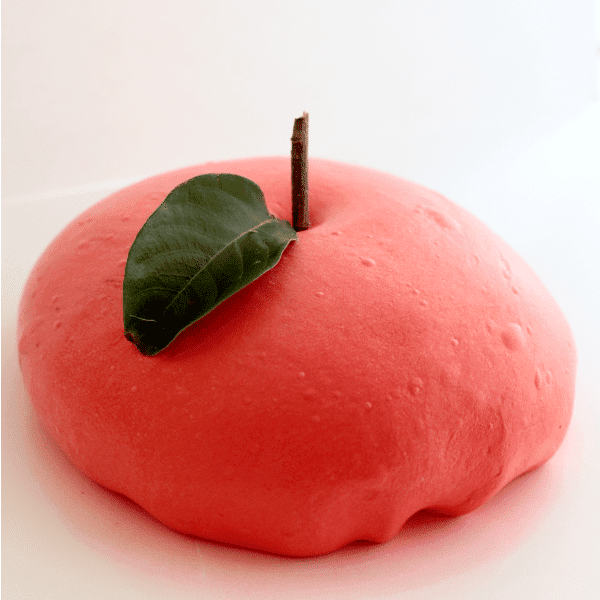 This apple slime recipe is one of my favorites yet. 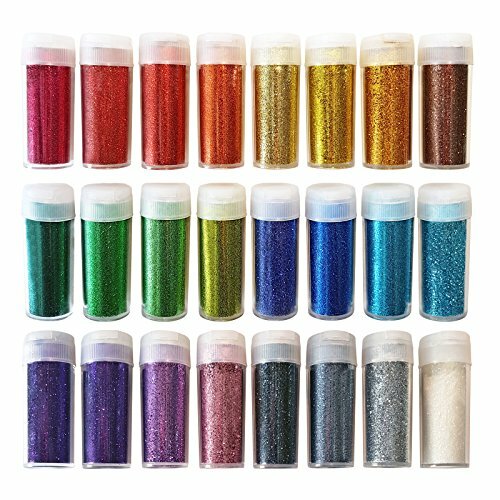 Kids love to squish it between their fingers, which is perfect for sensory seekers. 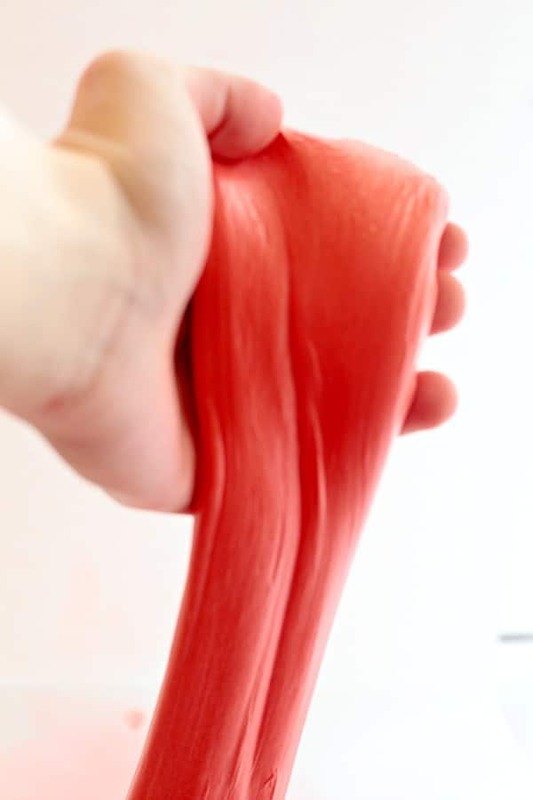 This slime uses our classic fluffy slime recipe, which you can get the full details on here. 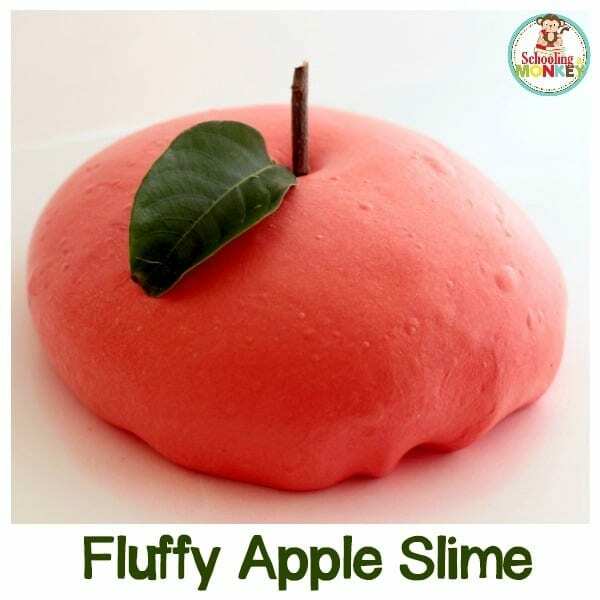 Our fluffy slime is a carefully adapted recipe to work perfectly every time. 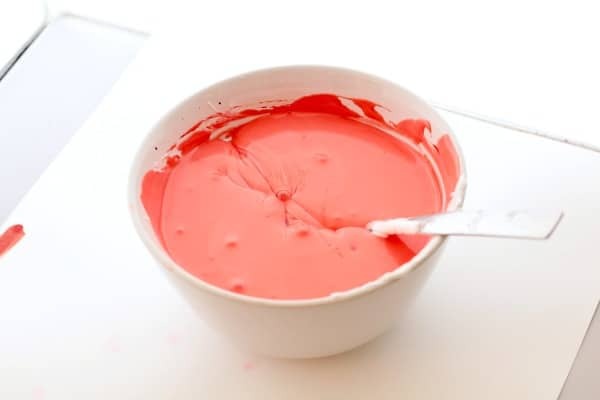 My fluffy slime recipe post contains all the extra details you’ll want in case your slime isn’t coming together the way you hope. 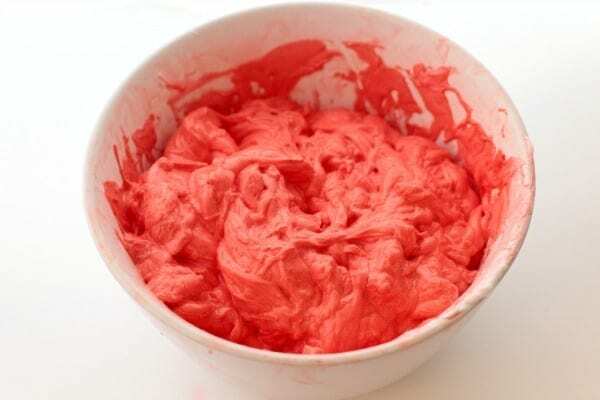 Fluffy slime is a mix of one part starch, one part shaving cream, and one part glue. 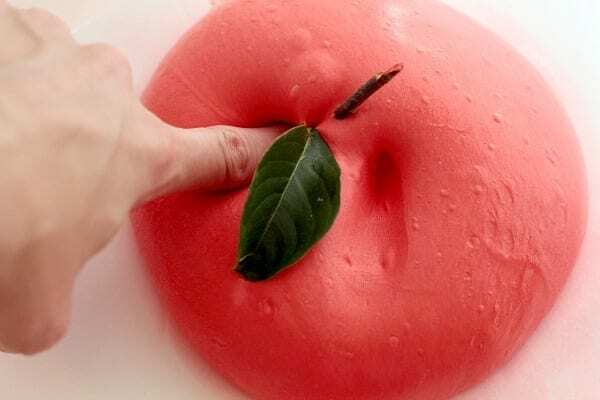 Use these ratios when making your fluffy apple slime. 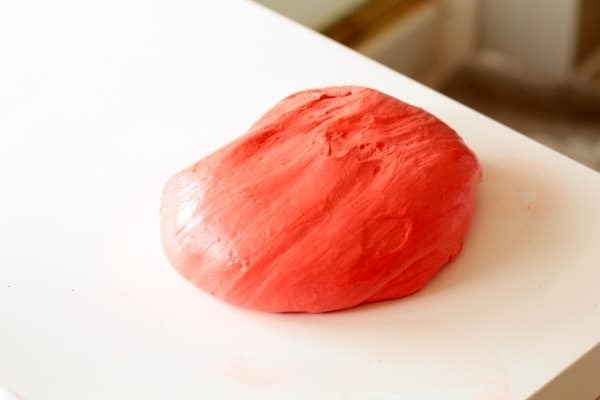 Reminder: Fluffy slime includes a form of borax, which can be rough on sensitive skin. Additionally, the combo of laundry starch and shaving cream can be harder on the skin than traditional slime. 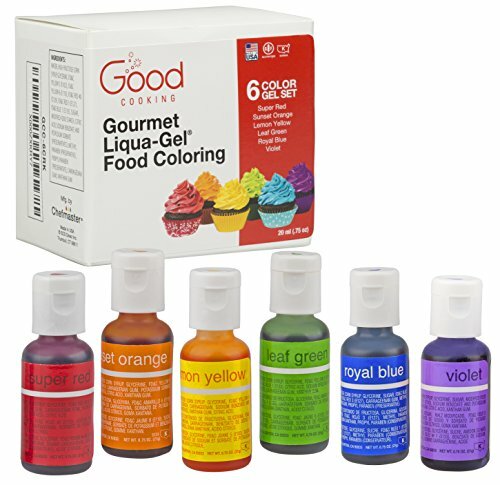 If you need something gentler, try our baking soda slime. 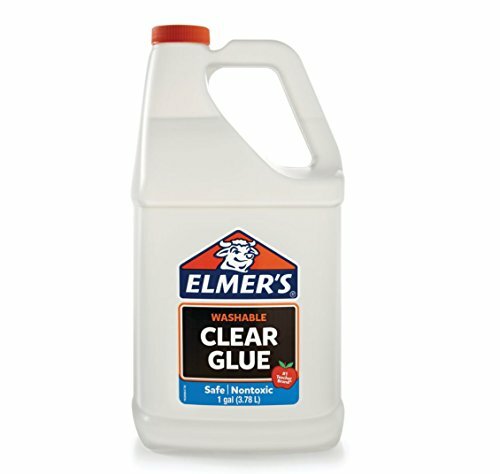 Follow the steps from the fluffy slime recipe to make your base. Add apple essential oils to make it even smell like an apple! The key here is to let it rest for about 5 minutes to prevent the strings. It will turn into amazingly fluffy and soft slime after the rest period is over. 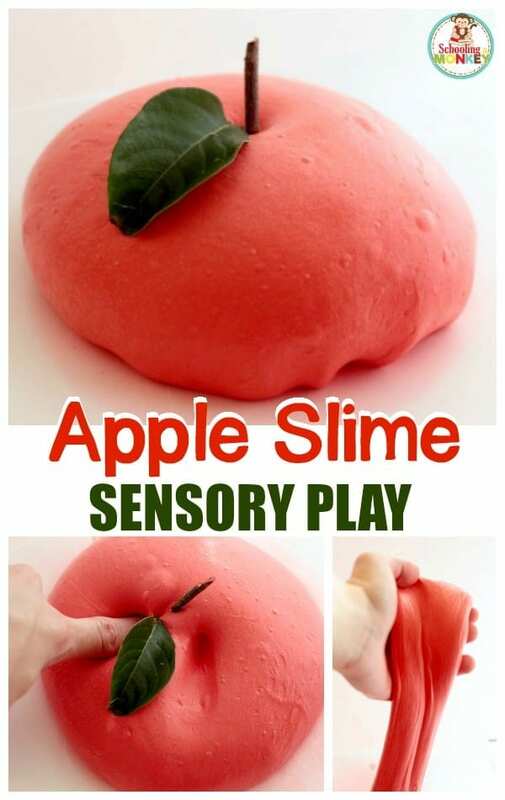 Shape the slime into a ball, then add a leaf and a stick to transform it into an apple! My kids had such fun playing with the fluffy slime, they forgot it was 100 degrees outside and I had peace and quiet all afternoon. Later that day, when my preschooler came to give me a hug, she smelled like apples. I thought she might have spilled the bottle of essential oils, but on closer inspection, she had just played with the fluffy apple slime so much that her hands smelled like apples until bedtime! Download my STEM challenge cards: Perfect for adding STEM learning into your preschooler or toddler’s day.